Ven. Nyanramsi was an accountant before he was ordained in 1995 at Chanmyay Yeiktha Meditation Centre, Yangon with Chanmyay Sayadaw, Ven. U Jananakabhivamsa, as his preceptor. Ven. 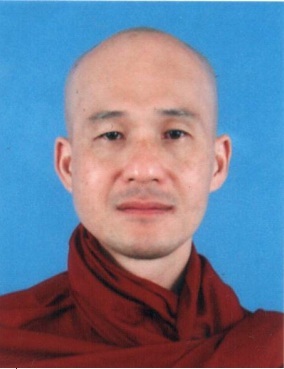 Nyanaramsi moved to Hmawbi branch in 1996 and continued his training under Chanmyay Myaing Sayadaw U Indaka (former abbot of Hmawbi Branch) and other resident Sayadaws. He spent 9 vassas in Myanmar. In late 2003, he accepted an invitation from SJBA to return to Malaysia to teach Dhamma and Satipatthana Meditation to Malaysian Buddhists. He is now the Chief Abbot of SJBA. He travels frequently to Thailand, Taiwan and Indonesia to conduct meditation retreats.